My name is Muhammad. I am doing Bachelor of Science and have been working with students since I was in High school. 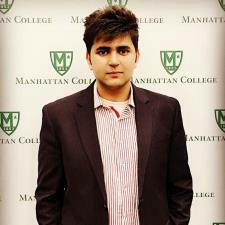 I will continue my studies as an Engineering student at Manhattan College this Spring, 2018. I was recipient of the Dean Scholarship of over $13,000 for students with a history of academic excellence. I started tutoring in high school and, because I found it so rewarding, I decided that it would be my focus after graduating.